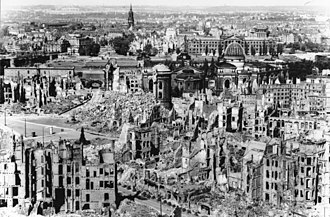 For the bombing of Dresden, see Bombing of Dresden in World War II. 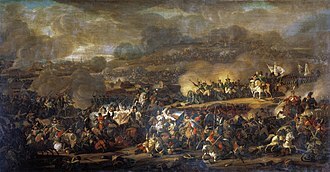 For the 1760 engagement, see Siege of Dresden. 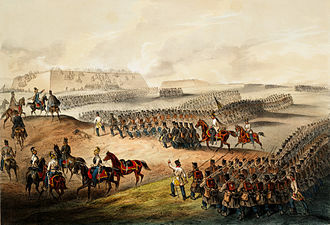 The Battle of Dresden (26–27 August 1813) was a major engagement of the Napoleonic Wars. 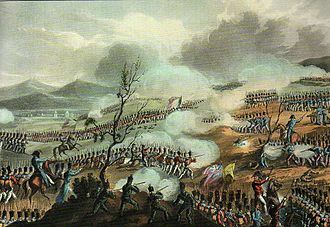 The battle took place around the city of Dresden in modern-day Germany. 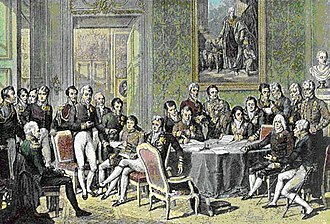 With the recent addition of Austria, the Sixth Coalition felt emboldened in their quest to expel the French from Central Europe. Despite being heavily outnumbered, French forces under Napoleon scored a great victory against the Allied army led by Field Marshal Schwarzenberg. 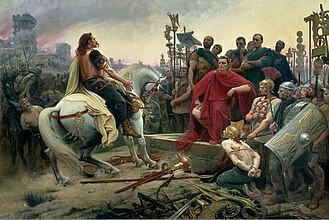 However, Napoleon's victory did not lead to the collapse of the coalition, and the lack of effective French cavalry units, caused by a very heavy loss of French horses during the past 1812 French invasion of Russia, precluded a major pursuit. Three days after the battle, the Allies surrounded and captured a French corps at the Battle of Kulm. 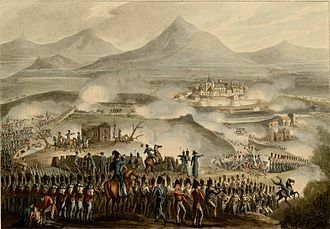 On 16 August, Napoleon had sent Marshal Saint-Cyr's corps to fortify and hold Dresden in order to hinder allied movements and to serve as a possible base for his own manoeuvres. He planned to strike against the interior lines of his enemies and defeat them in detail, before they could combine their full strength. He had a field army of 442,810 men and 1,284 guns in 559 battalions and 395 squadrons against Allied field forces totaling 512,113 men in 556 battalions, 572 squadrons and 68 Cossack regiments, and 1,380 guns. The Coalition avoided battle with Napoleon himself, choosing to attack his subordinate commanders as per the Trachenberg Plan. 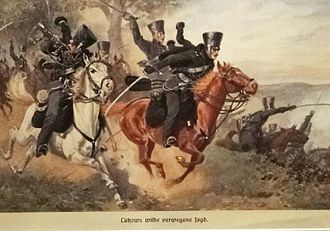 On 23 August, at the Battle of Grossbeeren, south of Berlin, Crown Prince Charles of Sweden (formerly French Marshal Bernadotte, Napoleon's own Marshal) defeated his old comrade Marshal Oudinot. 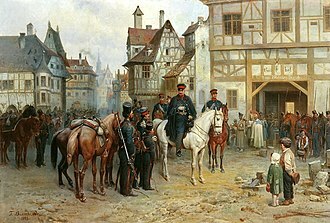 And on 26 August, Prussian Marshal Blücher crushed Marshal MacDonald's army at the Katzbach. 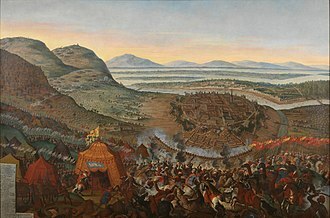 On the same day as Katzbach, Karl Philipp Fürst zu Schwarzenberg, the commander of the Austrian force of over 200,000 men of the Austrian Army of Bohemia and accompanied by Francis II, Alexander I, and Frederick William III, attacked Saint-Cyr. In Dresden, French infantry manned the various redoubts and defensive positions. 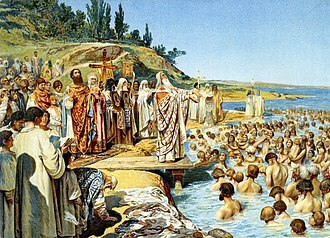 They hoped to last long enough for reinforcements to arrive. Sure enough, they got their wish. Napoleon arrived quickly and unexpectedly with reinforcements to repel this assault on the city. French counterattacks on the Great Garden in the southeast and on the allied center were successful, and by nightfall the French had regained almost all of Saint-Cyr's original positions. 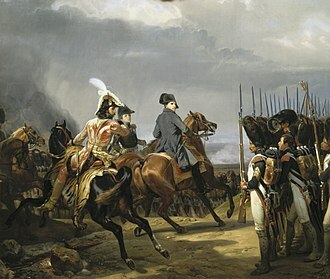 Although outnumbered three to two, Napoleon attacked the following morning (27 August), turned the allied left flank, and won an impressive tactical victory. The flooded Weisseritz cut the left wing of the Allied army, commanded by Johann von Klenau and Ignaz Gyulai, from the main body. Marshal Joachim Murat took advantage of this isolation and inflicted heavy losses on the Austrians. A French participant observed, "Murat.... cut off from the Austrian army Klenau's corps, hurling himself upon it at the head of the carabineers and cuirassiers. .... Nearly all his [Klenau's] battalions were compelled to lay down their arms, and two other divisions of infantry shared their fate." Of Klenau's force, Lieutenant Field Marshal Joseph, Baron von Mesko de Felsö-Kubiny's division of five infantry regiments was surrounded and captured by Murat's cavalry, which amounted to approximately 13,000 men, and 15 colours. 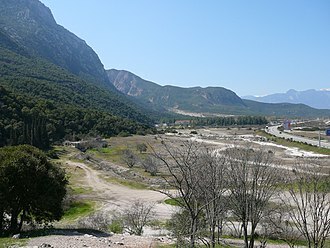 Gyulai's divisions also suffered serious losses when they were attacked by Murat's cavalry during a rainstorm. With damp flints and powder, their muskets would not fire and many battalions became an easy prey to the French cuirassiers and dragoons. However, Napoleon's failure to follow up on his success allowed Schwarzenberg to withdraw and narrowly escape encirclement. The Coalition had lost some 38,000 men and 40 guns. French casualties totaled around 10,000. 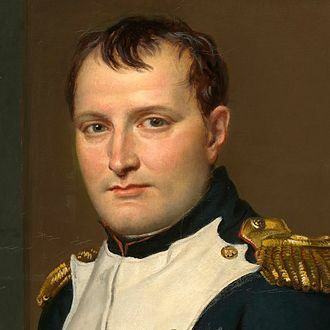 Some of Napoleon's officers noted he was "suffering from a violent colic, which had been brought on by the cold rain, to which he had been exposed during the whole of the battle." On 27 August, General Vandamme received orders to advance on Pirna and bridge the Elbe there. This was accomplished in a pouring rain, without disturbing the Russians drawn up on the heights of Zehista. 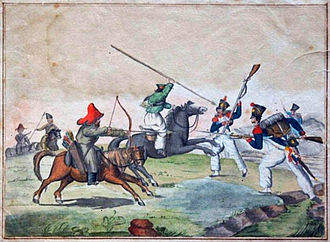 This advance by Vandamme resulted in the Battle of Kulm three days later. 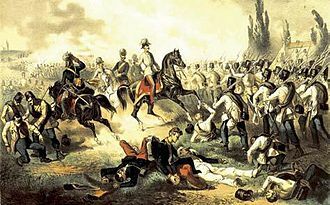 Napoleon's old rival Jean Victor Marie Moreau who had only recently returned from his banishment from the United States was talking to the Tsar (who wished to see Napoleon defeated) and was mortally wounded in the battle, dying later on 2 September in Louny. The author and composer E. T. A. Hoffmann happened to be in Dresden during the battle, being at the time employed by a locally based orchestra. On 22 August, after the end of the armistice, the Hoffmann Family was forced to relocate from their pleasant house in the suburbs into the town. During the next few days, as the battle raged, they experienced the ongoing bombardments. As Hoffman later recounted, many people were killed by bombs directly in front of him. After the main battle was over, he visited the gory battlefield. 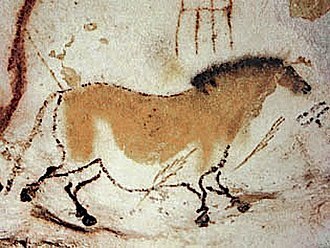 His account can be found in Vision auf dem Schlachtfeld bei Dresden. ^ Maude 1908, p. 148. ^ Maude 1908, p. 156. ^ Chandler, The Campaigns of Napoleon, pp. 910–911. ^ Jean Baptiste Antoine Marcellin de Marbot. The Memoirs of General Baron De Marbot, Volume II,, Chapter 23. Electronic book widely available. ^ Smith, p. 445. 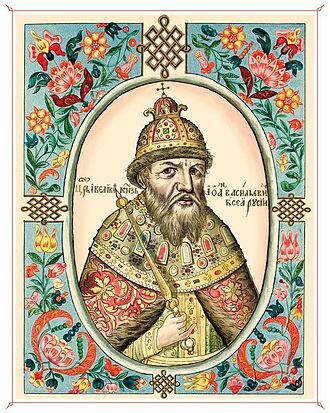 Mesko was wounded, and retired the following year. Kurdna and Smith, Mesko. ^ "Memoirs of the Duke of Rovigo". Peterswald. Archived from the original on 2001-03-14. Maude, Frederic Natusch (1908). The Leipzig Campaign, 1813. London: Swan Sonnenschein. Karl Philipp, Fürst zu Schwarzenberg was an Austrian field marshal. Karl Philipp was born 18/19 April 1771 in Vienna, the son of Johann Nepomuk Anton of Schwarzenberg and he was one of thirteen siblings, seven of whom did not reach adulthood. Karl Philipp entered the cavalry in 1788, fought in 1789 under Lacy and Loudon against the Turks, distinguished himself by his bravery. 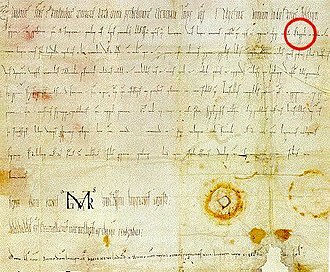 He was immediately decorated with the Knights Cross of the Military Order of Maria Theresa, at the Battle of Hohenlinden, he led a division in the right wing. 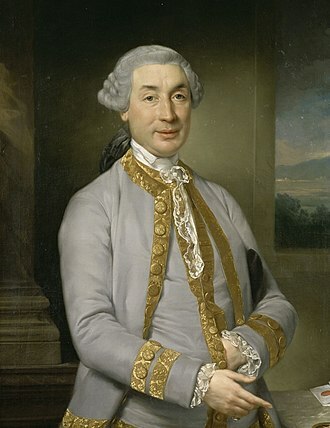 In 1804, Prince Karl Philipp was created Fürst zu Schwarzenberg in an identical to, but separate from. 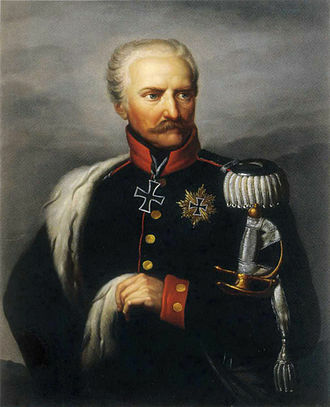 In the same year, he received the Commanders Cross of the Order of Maria Theresa, in 1806–1809, Schwarzenberg served as the Austrian ambassador to Russia. Schwarzenburg returned to Austria in time to part in the Battle of Wagram. 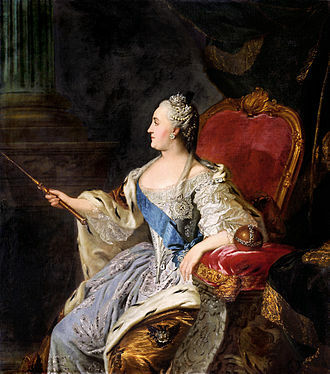 After the peace of Vienna, he was sent to Paris to negotiate the marriage between Napoleon and the Archduchess Marie Louise of Austria. 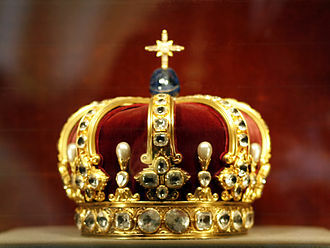 The prince gave a ball in honour of the bride on 1 July 1810, Napoleon held Schwarzenberg in great esteem, and it was at his request that the prince took command of the Austrian auxiliary corps in the Russian campaign of 1812. 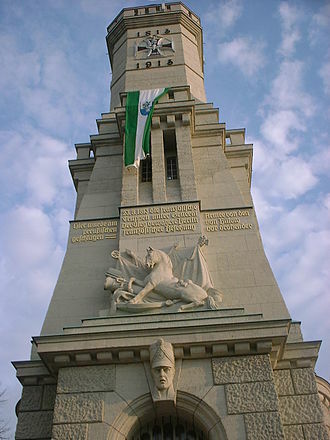 The Austrian general won some victories against the Russians at Gorodetschna. 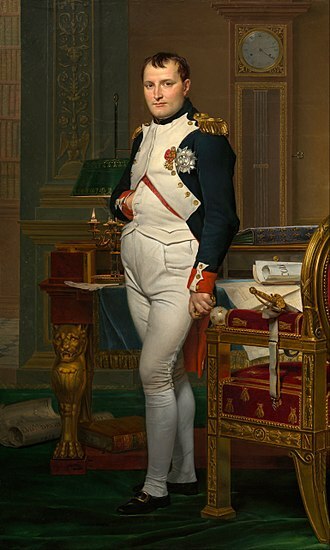 Afterwards, under instructions from Napoleon, he remained for some months inactive at Pultusk, as such, he was the senior of the allied generals who conducted the campaign of 1813–1814. 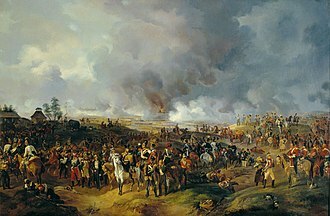 Under his command, the army was mauled by Napoleon at the Battle of Dresden on 26–27 August. 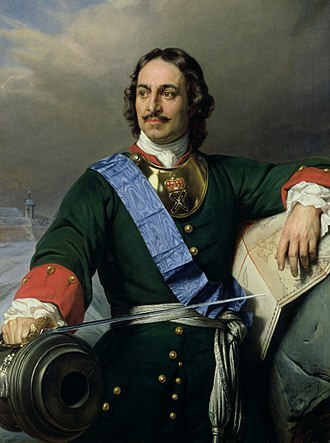 However, his army defeated pursuing French forces at the Second Battle of Kulm, returning to the fray, he led the Allied army north again and played a major role in Napoleons decisive defeat at the Battle of Leipzig on 16–18 October. During the invasion of France in 1814, he beat a French force at the Battle of Bar-sur-Aube in late February. He repelled an attack by Napoleon in the Battle of Arcis-sur-Aube on 20–21 March and his capture of the French capital on 31 March after the Battle of Paris resulted in the overthrow of Napoleon. 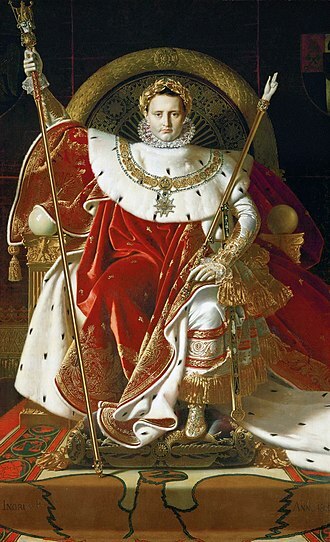 The next year, during the Hundred Days when Napoleon escaped from Elba and regained the French throne, but shortly afterwards, having lost his sister Caroline, to whom he was deeply attached, he fell ill.